If you hadn't already noticed, Spring/Summer clothing has arrived. True, we might not be reaching for the factor 30 just yet, but hopefully it won't be long. Over the past few weeks in particular we have taken in the outstanding new Under Armour range of clothing which looks and feels fantastic. Make sure you drop in and check it our for yourself, or click here to find out more. Every year we look forward to receiving the new collections, and what we have is a fantastic selection of styles to suit all tastes this season. Do pop by to have a browse, even if the weather's still got more Autumn/Winter about it. 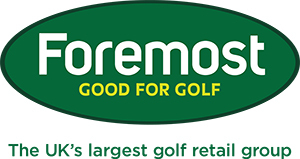 For the lucky ones out there escaping for an Easter golfing break - perhaps the Algarve or somewhere even hotter - the arrival of Spring/Summer clothing is just perfect timing - and where better place to do your holiday clothes shop, as opposed to the airport? 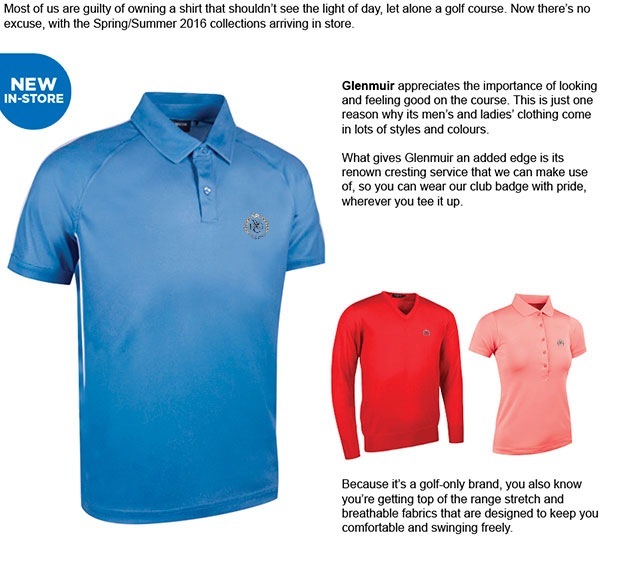 These garments are designed specifically for golf to help you perform, and look good, of course. What look will you go for this season? Click here to take a look at our website. You can never fully plan for a perfect Summer here in Britain, and hopefully we won't be seeing too much of the white stuff, which has been threatening the country over the past few weeks. Unlike a certain someone below, make sure you're protected from the cold and wet with our brilliant waterproof ranges from Sunice and ProQuip. These have been hugely popular over the winter period, and are well worth a look. Drop in to check them out for yourself. Over the weekend we held a bunker and chipping masterclass here at Wimbledon Park, and it was fantastic to see such great improvements made by all those who signed up! As a result of this, we are looking to hold more of these masterclass sessions over the coming weeks and months, so make sure you watch this space for more information. If you are looking at improving your game, why not book a lesson with one of our PGA Professionals? It's 4 for 3 time on the Titleist Pro V1 and Pro V1 x - that's a dozen free when you purchase three or more dozen, with FREE personalisation available to you as well. You can order online here, or in store. Spring is here and so are our 2016 Spring/Summer collections, featuring some fantastic new styles and designs to suit everyone. Pop by the store and find your look for this season. 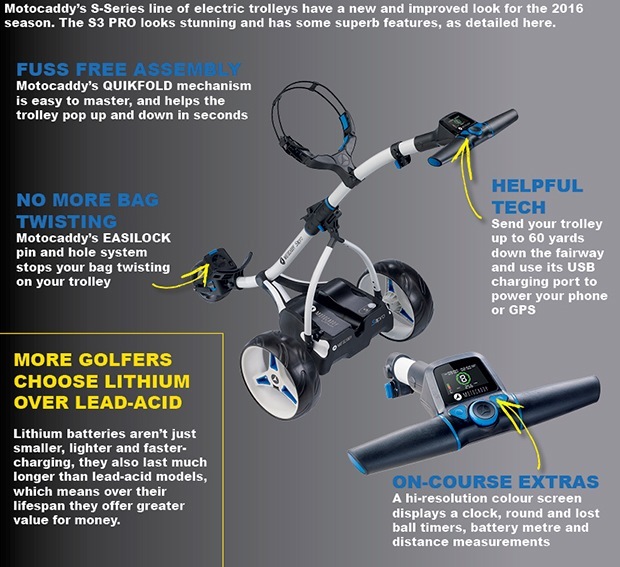 Have you seen the new-look Motocaddy S3 PRO? 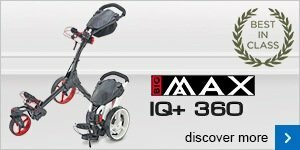 Does your golf wardrobe need a lift?